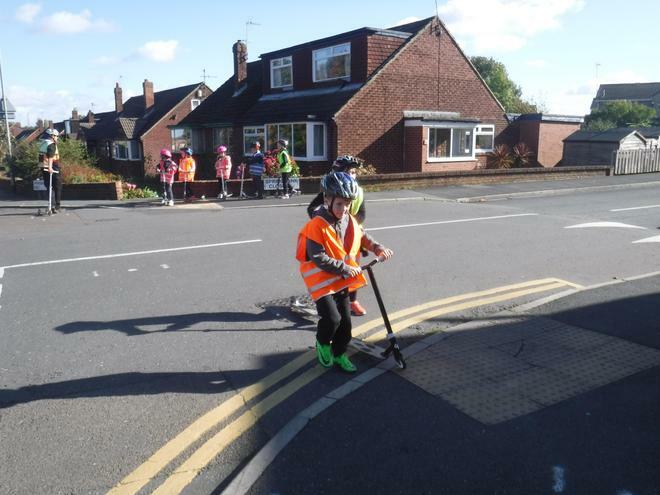 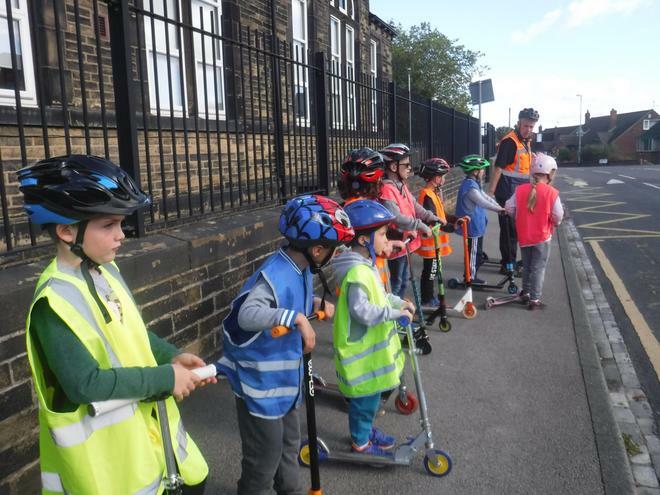 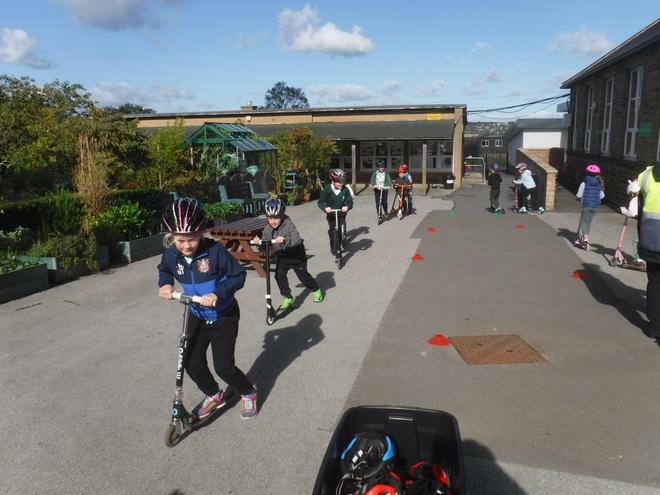 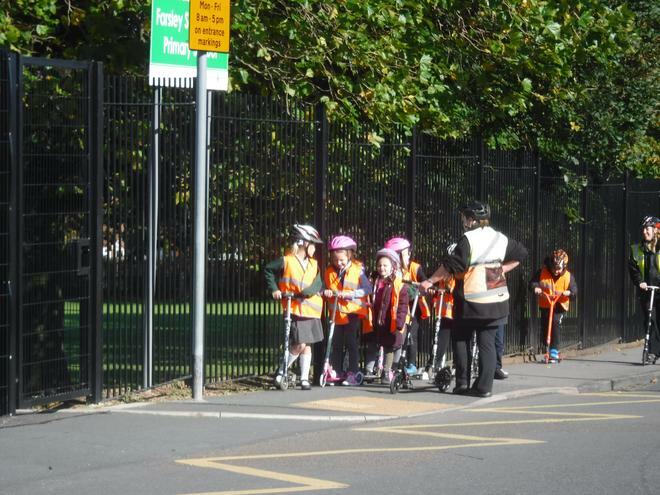 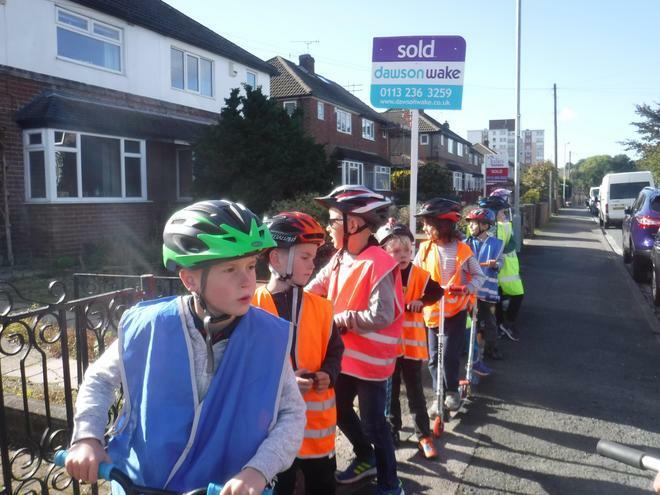 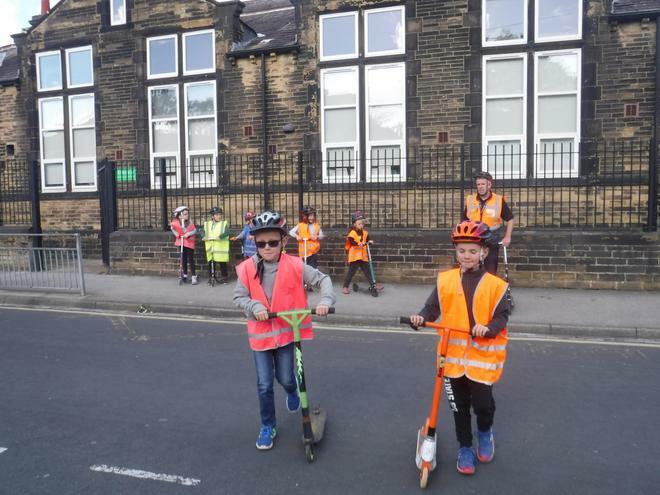 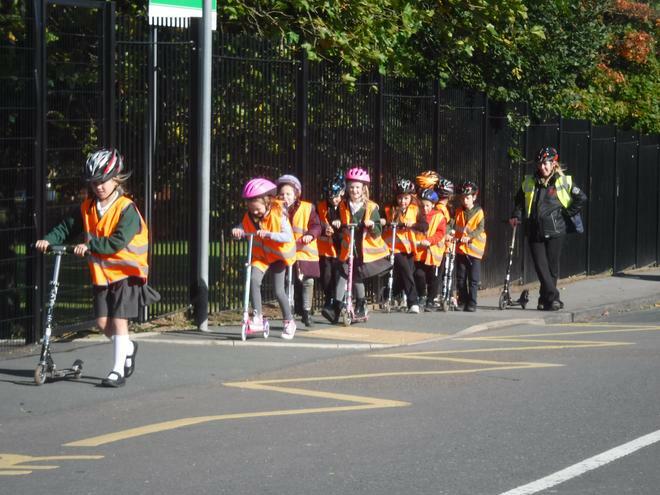 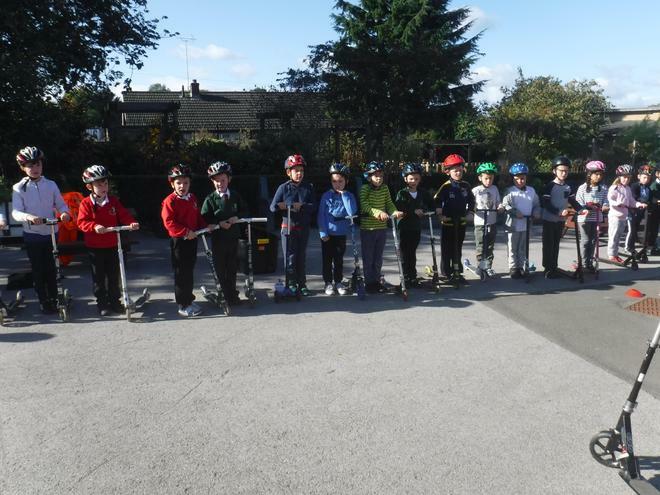 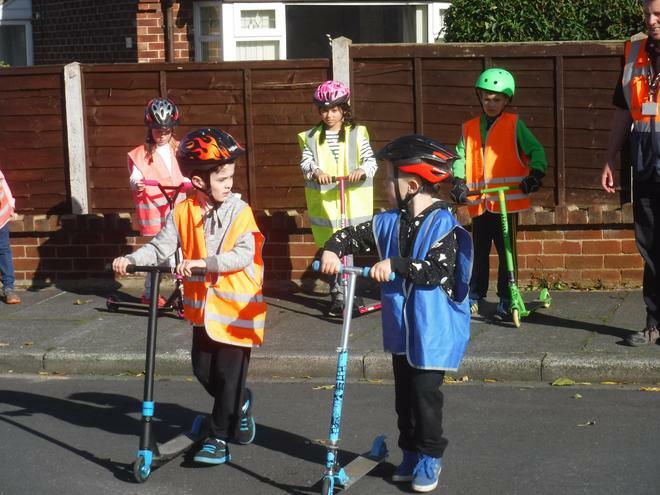 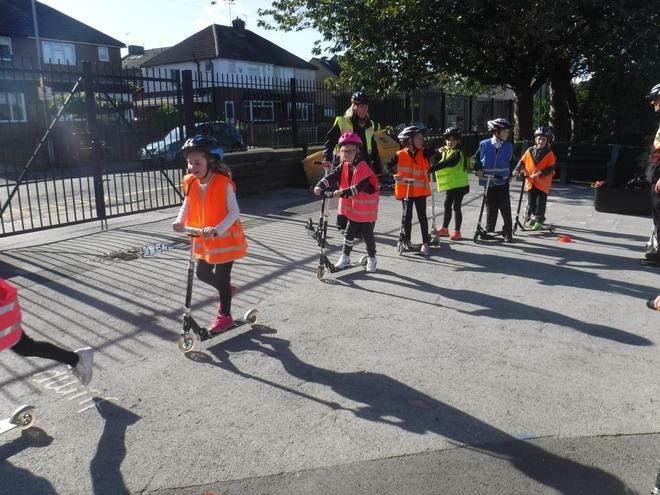 Year 3 spent an afternoon learning how to stay safe when using their scooters. 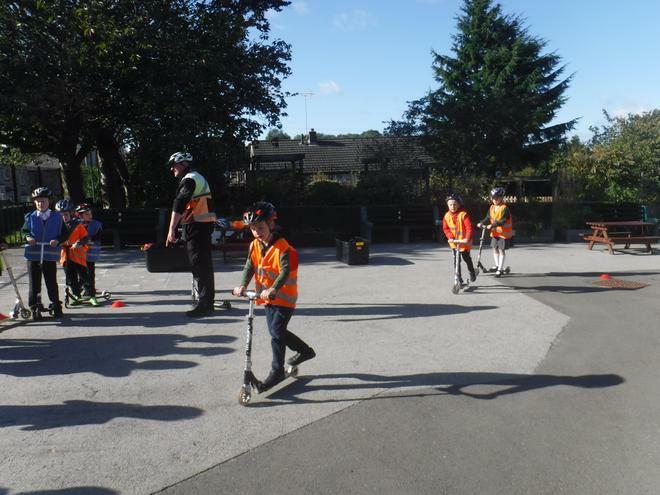 The children donned their helmets and went out into the playground to practice. 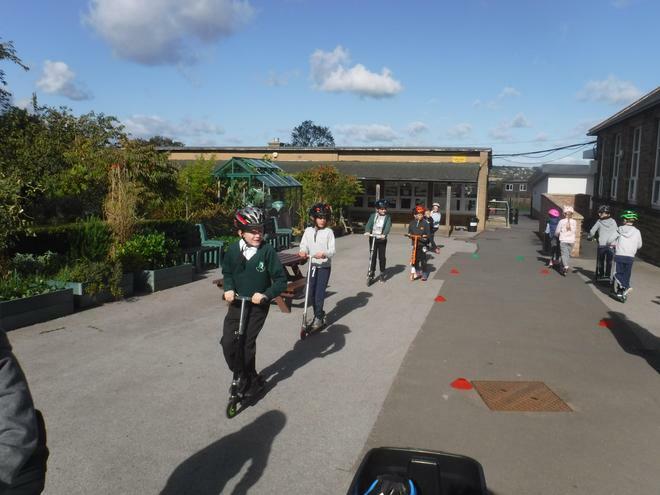 When they were ready they used all their skills they had covered during the session on the playground, they took their scooters out onto the streets surrounding school to practice. 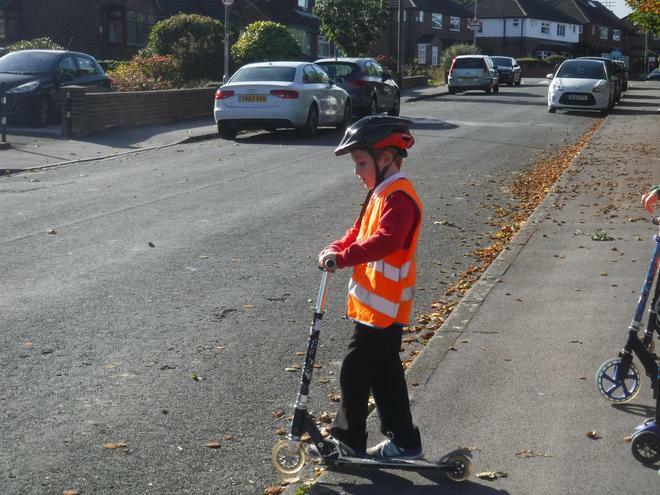 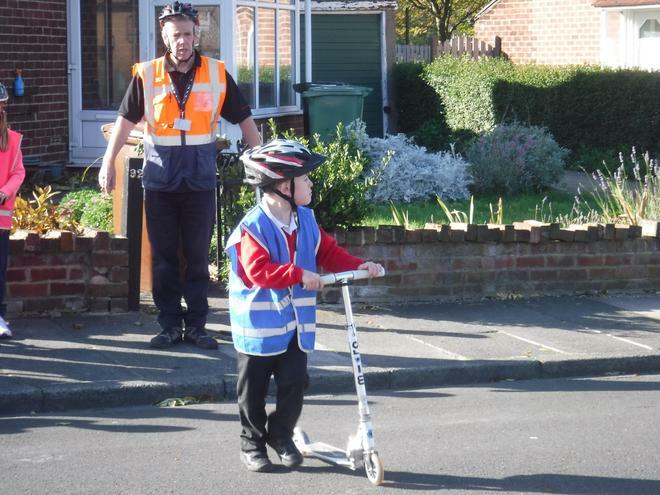 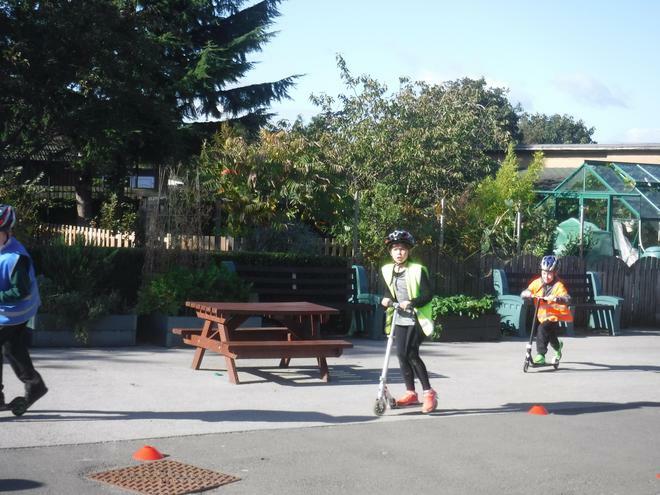 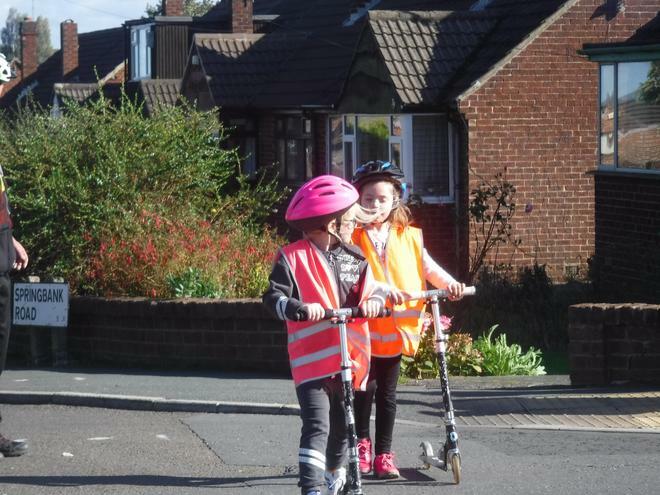 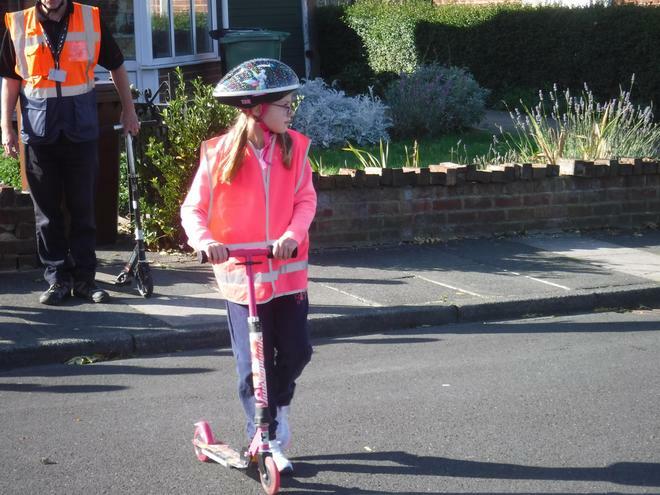 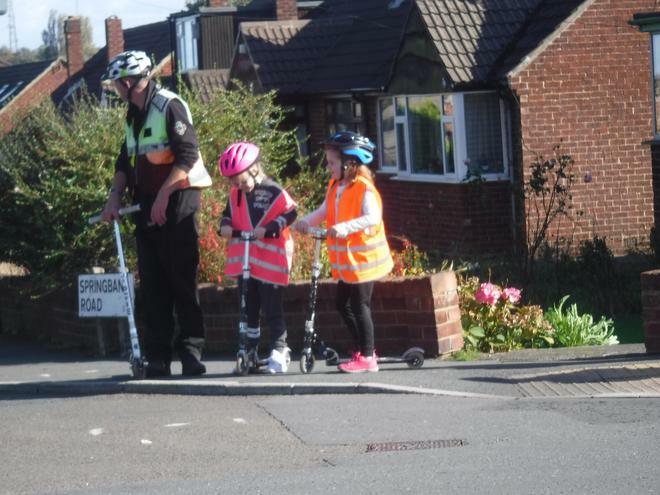 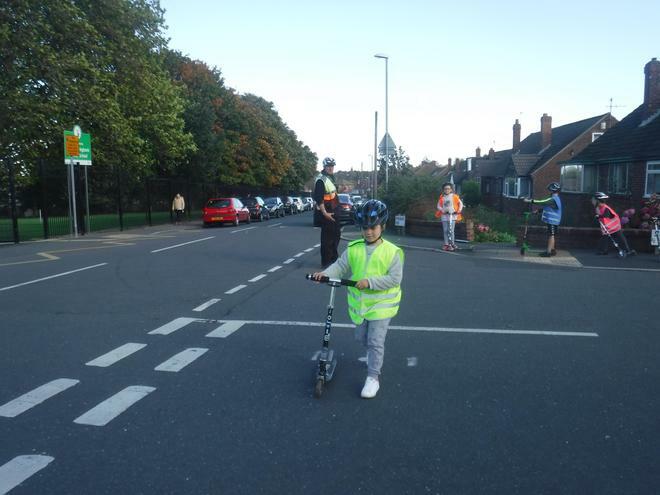 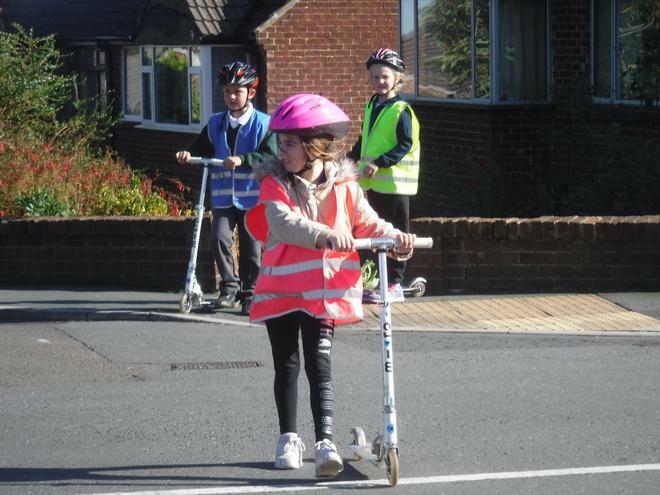 We hope that lots of children will be encouraged to use their scooters to travel to school as it is a great way to exercise; it helps reduce traffic outside school and best of all it’s a fun and quick way to travel! 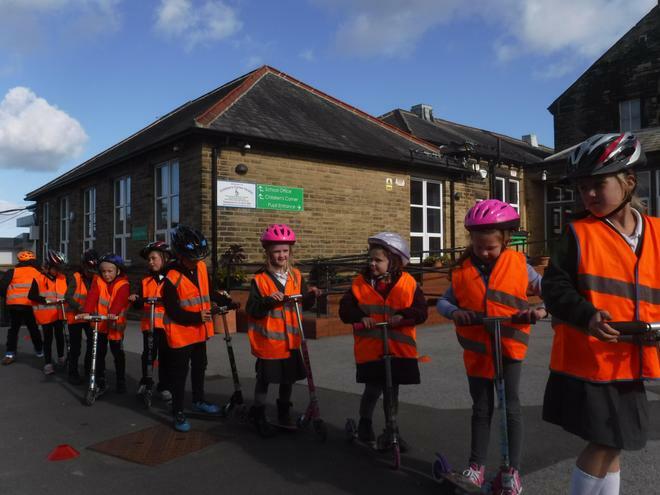 We would encourage any children travelling on scooters to wear a safety helmet, which they can bring into school to store safely.